Click on this button to check out our Facebook page. 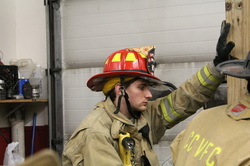 Welcome to the Colchester Center Volunteer Fire Fighters' Association Inc (CCVFC) Web Page. We are an all-volunteer non-profit Association made up of Colchester residents. 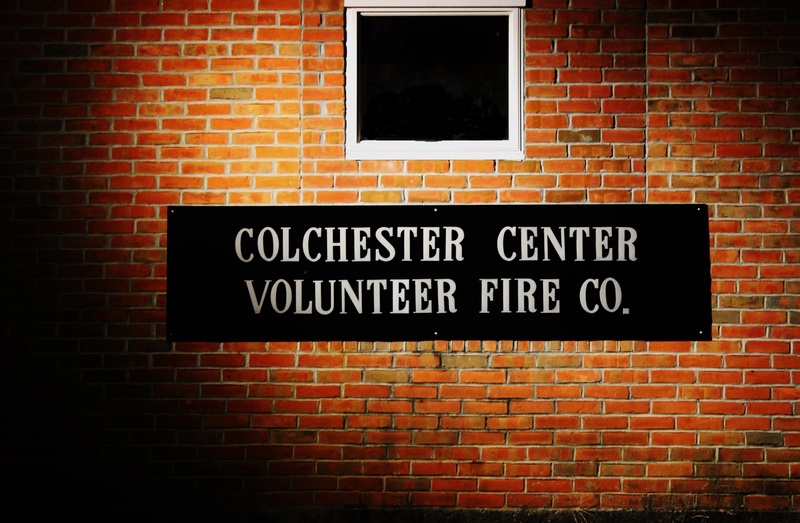 We provide fire protection to the town of Colchester VT (population about 18,000, 4th most populated city in VT), located in Northwestern Vermont on the shores of Lake Champlain. The men and women of the CCVFC respond to over 650 emergency calls each year and work closely with other local agencies to protect life, property, and the environment. We are responsible for approximately 29 square miles of Colchester, and our coverage area includes several hotels, a military base, a hospital, a college campus, part of Interstate 89 and businesses as well as residential housing. During my first few months as a freshman on St. Michael's Fire and Rescue, I never really thought about much beyond what I had learned at training (such as how to navigate through smoke-filled buildings) or the rush of excitement which came with a call. I listened to the seasoned veteran's "war stories" about their biggest fires and calls, and all I wanted to do was fight fire just like they did. After those first few months, however I quickly gained a entirely different perspective of what it meant to be a member of St. Michael's Fire and Rescue. I began to think more and more about the people we were helping and how they were affected by these incidents. This transition was strikingly evident to me during an accident I responded to on Interstate 89. An individual had rolled his truck over the guardrail and the occupants had to be transported to the hospital. The truck contained many of their belongings which had been thrown everywhere. We saw an empty photo album with hundreds of pictures that were strewn all over the Interstate. We knew that these pictures represented personal memories that could not be replaced. Once the area was safe, we spent the next hour canvassing the Interstate picking up the pictures. We wanted these pictures to be returned to the individuals. Although this task was not part of our job, we all knew it needed to be done, that we would want the same done for us. Without hesitation, we willingly stayed. This true commitment to others is demonstrated every time a truck roles out of our station. This commitment is as important as pulling a hose line correctly or accurately taking a blood pressure.